If you’re in the market for a new compact car, take a close look at the 2017 Chevy Cruze vs. the 2017 Hyundai Elantra. Both of these highly-rated four-door sedans are efficient and affordable, and exude style with their sporty exterior and comfortable, modern interior. But if you need to decide between the Chevy Cruze and Hyundai Elantra, which is the better choice? Both vehicles have armed themselves with active safety features. Let’s first look at the Cruze. The 2017 Chevrolet Cruze comes standard with 10 airbags, including full-length side curtain airbags, front knee airbags, and front and rear side-impact airbags, a rearview camera, four-wheel antilock disc brakes, StabiliTrak electronic stability control with traction control and rollover mitigation, and OnStar, which includes automatic crash notification, on-demand roadside assistance, remote door unlocking and stolen vehicle assistance. The available Driver Confidence Package includes Rear Park Assist, Side Blind Zone Alert with Lane Change Alert, and Rear Cross-Traffic Alert. Forward Collision Alert, and Lane Departure Warning with Lane Keep Assist are available on the Driver Confidence II package. 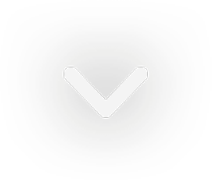 Parents will be thrilled to see that every 2017 Cruze comes with Chevrolet’s Teen Driver watchdog feature, which can be used to set certain parameters for secondary drivers, such as teens or even valets. Like the 2017 Chevrolet Cruze, the 2017 Hyundai Elantra is given high marks for being one of the safest vehicles on the road. It offers two optional features that the Cruze does not: adaptive cruise control and automatic crash braking. Its additional features include Blind Spot Detection, Lane Keeping Assist, Forward Collision Warning, Rearview camera with Dynamic Guidelines, Vehicle Stability Management, Traction Control System, Electronic Brake-force Distribution, and Brake Assist. When comparing the 2017 Chevy Cruze to the 2017 Hyundai Elantra, you’ll have lots of factors to weigh. But we believe that the Cruze eases ahead of the Elantra in this face-to-face competition. In the performance category, the 2017 Chevrolet Cruze earns high praise for its ride quality. It is powered by a 1.4-liter four-cylinder turbocharged engine producing 153 horsepower and 177 lb-ft of torque. Paired with a six-speed automatic or a six-speed manual transmission, the Chevrolet Cruze can run from 0 to 60 mph in 7.6 seconds with a top speed of 132 mph. It delivers 34 mpg combined driving for the automatic, 32 mpg for the manual, and 33 mpg for the Cruze Premier automatic. The Cruze hatchback with the automatic is rated at 32 mpg combined driving, while both the Cruze hatchback manual and Cruze hatchback Premier automatic deliver 31 mpg. A 1.6-liter turbodiesel I-4 engine became available in the Cruze later in the production year. 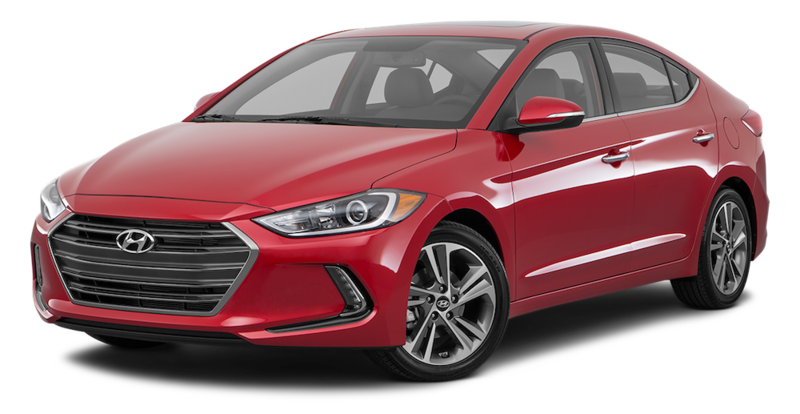 The 2017 Hyundai Elantra also offers a turbocharged 128 horsepower I-4 engine, along with two other engine choices. There’s also a 2.0-liter four-cylinder engine making 147 horsepower and 132 lb-ft of torque and a 201 horsepower 1.6-liter four-cylinder engine. It’s your choice between the three driving modes—Eco, Sport, and Normal—depending on road conditions and your mood. This new 2017 model provides its passengers with an improved ride quality and quiet interior cabin. If you seek choice, look no further than the 2017 Chevy Cruz. You’ll need to decide between the compact sedan or hatchback. Then you’ll need to review the different sedan trim levels: L, LS, LT, LT Diesel, and Premier, with the hatchback available in LT and Premier only. Let’s start with the basic Cruze L and LS trims. Both are equipped with 15-inch steel wheels, automatic headlights, remote locking/unlocking, air-conditioning, a height-adjustable driver seat, a tilt-and-telescoping steering wheel, 60/40-split folding rear seatbacks, Bluetooth connectivity, a four-speaker audio system with a USB port, OnStar (with 4G LTE connectivity and Wi-Fi hotspot), a rearview camera, and a MyLink infotainment system with a 7-inch central touchscreen, and Apple CarPlay and Android Auto smartphone app integration. But buyer beware. The L trim can only be ordered through the dealership as a custom sale. If you choose the LS trim, you’ll be rewarded with a front center armrest and carpeted floor mats. It can also be equipped with the automatic transmission and a range of dealer-installed options. When you take a look at the LT trim, you’ll find much higher upgrades and rich features. You and your passengers will enjoy its heated mirrors, cruise control, steering-wheel-mounted phone and audio controls, a rear center armrest with cupholders, and a six-speaker audio system with satellite radio. 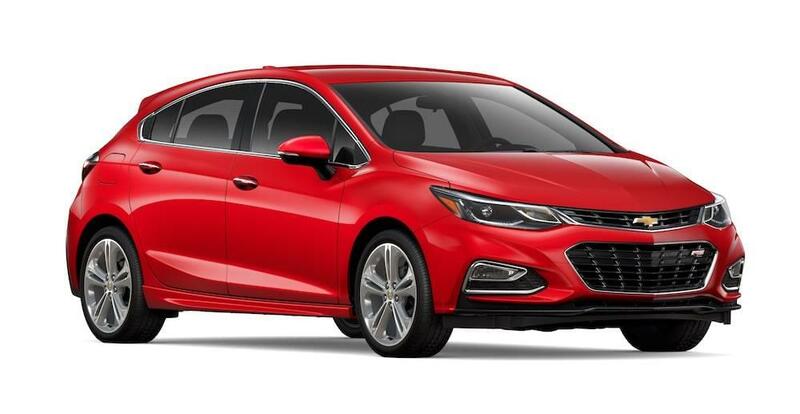 With the Cruze Premier, drivers will receive the added bonus of 17-inch wheels, an upgraded rear suspension, chrome exterior accents, ambient interior lighting, and illuminated vanity mirrors. Chevy has an abundance of packages for Cruze owners to consider. These include the RS Appearance, Convenience, Leather, Driver Confidence, Sun and Sound, Premier-exclusive, and Enhanced Convenience package. In comparison to the Cruze, the 2017 Hyundai Elantra offers fewer trim choices; it is available in four main levels: SE, Eco, Limited, and Sport. Depending how much you want to spend or how fast you want to drive, will determine your choice of Elantra trim. The base SE trim offers an optional 7.0-inch touchscreen. There is also the new environmentally-friendly Eco trim to test drive. The Limited trim offers optional navigation and includes a larger 8.0-inch touchscreen, along with an eight-speaker Infinity audio system, HID headlights, a 4.2-inch display in the instrument cluster, heated front and rear seats, and leather seats. The newest trim addition is the Elantra Sport. Apple CarPlay, Android Auto, and heated rear seats are available. Optional safety tech includes automatic emergency braking and lane-keeping assist.